Why is it that you go to church? Let’s plunge into the Deeper Waters and find out. Last night, I talked with someone from Ratio Christi about how we can reach our generation for Christ more. What was brought out was that we have more information than ever before, but the problem is the information isn’t being distributed. Most teachers and workers don’t really get to go out into the trenches as much and just do regular evangelism. Why is that? My thinking on this is that we have too many people in Christianity today who think that the church exists for them. The church is where they go and get their regular spiritual fill-up. They get to hear a good concert, which is more often about getting their emotions to a high, and then get to hear a talk about how they can have better lives by being a Christian and how God loves them and all of it is about them. How does this work with evangelism? Simple. You are supposed to bring your friend to church and the pastor is supposed to say the magic words to get them to come down the aisle and accept Christ. Never a thought of “We need to equip you so you can do evangelism on your own.” Instead, you just bring them to the pastor and the pastor does your work for you. This isn’t to say you shouldn’t invite people to church. Of course you should. I am saying your work is not just to bring people to church and then keep a seat in the sanctuary warm. You are also not meant to come to church just so you can feel good about yourself. Church is about coming to worship and give of yourself. We come to church more often to receive than to give. As someone in ministry also, this is something that I know is a problem for many ministries. Since the church knows little about apologetics, apologetics ministries are hard to start. This isn’t to say that we shouldn’t support other worthwhile ministries as the church needs more than apologetics, but it is to say that the church doesn’t know about this vital area of Christianity and sadly, their pastors aren’t introducing them to it. Why do people not give then? Well they give their regular 10% and then that’s it. Nothing in their minds often about being a part of the greater church as a whole and the Kingdom of God. Nothing about that they might actually need to answer a question one day from someone. Nothing about they might need to do independent Bible study. It’s all about what’s in it for them. I wish I knew more of what to do to help this. Sometimes, I do think it will take some persecution to get us to realize what we are here for. I also suspect many Christians will fall away at that point because, I mean, why should they be expected to sacrifice anything? That’s too uncomfortable. If a pastor is worried that he might lose some people, maybe he should. The people who really care the most are the ones who will stay behind and be willing to do the work. It would be better to have a small number who are faithful and ready to do the work than have a large number who are not. I believe the founder of Christianity had the same philosophy. It is my hopes that we can be a church that teaches, gives, answers, and everything else we need to be doing. Once we understand the role of Christianity overall, we will be better equipped to fulfill our Christian mission. It will require that we move past the idea that the church is for us. We don’t come to church for us. We come for God. First off, we’re getting started on putting new episodes up. I’ve got some of the sound issues worked out so hopefully we’ll be on schedule again soon. Having said that, what are we going to be talking about when this Saturday comes? In the apologetics world, we can often be running at full throttle most of the time. There are people to answer and books to read and debates to watch. Let’s not forget that many a spouse has become an apologetics widow. We get so busy doing this and that and we fear falling behind and before too long, we just can’t take it anymore. Do we need to maybe take a break? Is it proper to ever rest when the Kingdom is what we’re working for? Can a soldier ever stop on the battlefield and rest? If there are souls at stake, by what reasoning can it be said that we should not be working with all our might at our duties? To answer these questions, I’ve brought on someone who does not work primarily in apologetics, but whose book I think can help, and that’s Dr. John Koessler. Who is he? 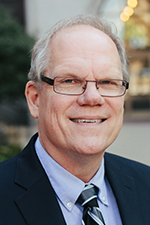 John Koessler serves as Chair & Professor in the Division Applied Theology and Church Ministry at Moody Bible Institute where he has been a member of the faculty since 1994. He is an award-winning author who has written ten books including The Radical Pursuit of Rest: Escaping the Productivity Trap (InterVarsity, 2016), The Surprising Grace of Disappointment: Finding Hope When God Seems to Fail Us(Moody, 2013), Folly Grace and Power: The Mysterious Act of Preaching (Zondervan, 2011), and True Discipleship: The Art of Following Jesus (Moody, 2003). He has contributed articles to Christianity Today, Mature Living, Leadership Journal, Discipleship Journal, Decision, and Moody Magazine. He also writes a monthly column for Today in the Word entitled “Theology Matters,” and is a regular contributor to that publication’s devotionals. Prior to joining the faculty of Moody, John was pastor of Valley Chapel in Green Valley, Illinois, for nine years. How can the Christian properly integrate all that they need to do in their life with rest? What is rest? Is it proper to actually not be engaging in study and debate and actually just be taking a break with the loved ones? Furthermore, how does this work with worship? What is worship and are we really doing it? Could it be that sometimes we’re so eager to get people to come and fall on their knees before Jesus that we don’t often go and do that ourselves? Join me this Saturday as I interview John Koessler on this. We’ll be talking about the proper role that rest plays in the life of a Christian and what difference it makes. We’ll also be talking about the need for worship and why it is that we should actively participate in worship. Be watching your Podcast feed for this one and please consider going and leaving a positive review on the Deeper Waters ITunes page. What do I think of John Koessler’s book published by IVP? Let’s plunge into the Deeper Waters and find out. We live in a day and age where technology should have made it easier for us to do anything. We were expecting a Jetsons world where we just go and push a button and everything gets done for us. The irony is that with most every invention of technology meant to save time for us, we in fact often have less time left. We want to produce constantly. Do we ever take the time to just rest? Koessler argues that rest is essential and we get caught in a trap of productivity. Of course we should produce, but we are not machines. We cannot work 24/7. We in fact often live to work instead of realizing the purpose of work is often so that we won’t have to work. It is to free us for leisure and rest. How many people go on vacation and still do work? Thus far, I have avoided this. The last vacation I managed to get to go on was my honeymoon with my wife a little over six years ago at Ocean Isle Beach. I made a commitment before I left and spoke about it with my parents and in-laws. No contact for us. Don’t call us. Just let us be. The only book I brought with me was my Bible. I had my IPhone with me, but I used it for GPS mainly. I did not check email. I did not check Facebook. There would be plenty of times later to put up pictures of the wedding and such. There were plenty of other people who could do ministry while I was gone. This week was to focus on me and my new bride. I have no regrets from that decision. Unfortunately, many do not make such a decision ever. They come home from the office and bring the office with them. This is even what happens in the case of ministry. A man can neglect his family because this is the work of God. He forgets his first work of God is to love his wife as Christ loved the church and to teach his children the fear of God. Koessler’s book is a reminder for us to take a break. The anxiety we feel about the future is in fact a failure to trust in God. We don’t rest because we think we have to keep producing. We have to in order for God to also care for us. There is no rest and if we do stop and rest, we beat ourselves up with guilt. In fact, Koessler tells us that sloth can be related to noonday madness. It can be seen as constant busyness. We keep busy for the sake of keeping busy. It’s like the employees in the office who hear the boss is coming and all of a sudden solitaire and emails go down, Pokemon Go gets turned off, and everyone starts acting like they’ve been working hard. Koessler also writes about ambition. Now ambition I think is fine if you want to be excellent at what you do. We should all want that. The problem can often be when you don’t delight in others and their successes and only keep thinking about yourself. That ambition is often connected with our pride. Koessler talks about worship as rest as well. Worship at churches often turns into a performance where we have to work the audience up and by the way, that isn’t enough because if you’re truly devoted to the church you’ll sign up for all these programs. Helping out the church with other programs is fine, but let’s remember that worship is a fine goal in itself. Of course, something has to be said about the digital age. I know of the trap for as I sit here writing, I have my email and Facebook opened and I hear the news program my wife is watching. Multi-tasking is a way of life for me. There are times you just want to see what happened on Facebook and realize you’ve spent about an hour or so browsing on it and to what end? For my final positive, I appreciate Koessler’s honesty. He does write about having a hard time sleeping at night. He does write about struggles with ambition. He does write about worship services and sermons that he frankly finds boring at times. These show me that Koessler is with me on the journey. Despite that there are many positives to this book and it’s a good wake-up call, I do have some recommendations for change. For instance, what exactly is rest? Koessler differentiates it from sleep, but it’s still not clear what it really is. What also would be its relation to play? If I take a break from reading and studying and go play a game, am I resting? If I go out on a date with the wife, is that rest? Would snuggling together on the couch to watch a movie be considered rest? I don’t remember any real clarification on what rest is and I definitely would like to see how play fits into this. Still, Koessler’s book leaves you with plenty of food for thought. I have been thinking quite often about his concept of worship. I’m pleased to know Koessler is on the same journey as well. Do Christians today really need the Psalms? Let’s talk about it on Deeper Waters. As readers of this blog know, N.T. Wright’s work is just gold to me. N.T. Wright brings so much life to the biblical text by sharing the historical context making it a deeper and deeper work to be appreciated. In fact, Wright was a major influence in getting me to switch my major to NT. Yet in his book “The Case for the Psalms: Why They Are Essential”, Wright turns to this important OT book, a book I honestly rarely see scholars engaging with, except for how it relates to the NT. Wright does some of that, but he also brings out the importance of it on its own. The Psalms we must remember were the hymns of the early church and the first Christians. They were before Christ, the embodiment of the hope of Israel. They longed for what it is we all longed for and what was ultimately fulfilled in Christ. Perhaps our songs could learn something from the Psalms with the Psalms being the archetype that we all draw from when it comes to writing new songs today. These songs should embody our hopes that the Psalms themselves embodied. Wright goes into three areas. First, the Psalms all hoped that God would redeem time. Many a Psalm points back to events when the God of Israel acted in the past in order to bring about a people. The reason of course was so that God could bring about a great future and that future had not yet come. Thus, the Israelites were living with a hope for the future and that hope was in the present unrealized. Many of us today can still pray “How long O Lord? How long?” Yet the Psalmists were in many ways saying the exact same prayer and their stark honesty is refreshing. At times, the Psalmist chooses to point the finger not at fallen humanity or the devil or forces of evil, but at God Himself. Why is God doing or not doing something? The Psalms would be a way of saying to God the promises He had made and looking with the hopeful future trust if not present trust that He would bring them about. Second, the Psalms hoped that God would redeem space. The land of Israel was the sacred land to the people. Yet at times they had been removed from the land and when they returned, they were still in exile as a foreign power was in charge. Not only that, where did God exactly dwell? That was a question. God had made His presence known in the Temple? Where was He when the temple was not there? How they longed for it! This is of course fulfilled in the NT when we have the living temple of Jesus come and then we read in 1 Corinthians that we are the temple of the Holy Spirit. Finally, they longed for God to redeem matter. It is a gnostic view that this world is evil. Christianity says the world is good, but something has gone wrong with this good world. We can often get at the environmentalist movement for worshiping the creation seemingly, and some do, but we should not lose sight that this creation is the creation of God and it is good and He has a purpose for it. All these three are still often our hopes and a work like this has taught me I need to go back and reread the Psalms and see the hope of Israel in them. It is not only myself but all of us who do. We need to look at the Psalms and ask why each Psalm was written and what was the purpose and notice the nuances of the beautiful poetry therein. So once again, I am in debt to N.T. Wright for helping me to look at a portion of Scripture afresh. I am never disappointed by a work of Wright. May he write many more works and may God bless us with more scholars of the heart and caliber of N.T. Wright.